As they do each year, the brothers came together for their annual council from February 5-10. Sunday evening, the council ended with an evening prayer that included the act of "prostration" by which the brothers recall the day of their life-commitment. Beforehand, Brother Alois spoke the following prayer. God of all human beings, we praise you; you welcome us each day anew. Through Christ Jesus you bring us together in a beautiful diversity, in communion also with our brothers who are currently living in Brazil, Cuba, Senegal, Korea, Bangladesh, and with our brother Jacques in hospital. Like the Virgin Mary, we want to listen to your voice and welcome the life you offer us, in the confident trust that it is you who give to us. Christ Jesus, merely to say your name already reminds us of your presence as the Risen Lord. It comforts us and unsettles us. At each stage of life, you renew our readiness to follow you, and in joy and simplicity we go from one beginning to another. We have listened to your call not to forget hospitality. Through your Holy Spirit, you enable us to put it into practice. From you, Christ, we receive the impulse of the heart that creates in us an attitude of hospitality. Thank you for this experience we can have: by welcoming others, we receive more than we give. Your love makes us free, free to go towards others with our vulnerability, without fear. You are gentle and humble of heart, and you give us the courage of humility, the knowledge that we need one another. By this council, by these days lived together, you have renewed the kindness between us, that gift which is a pearl of great price. May this kindness grow between us, may it also grow throughout your Church so that Christians may progress ever more towards reconciliation and unity. When the Church is radiant with your kindness, it communicates the Gospel; it fulfills its mission; it is a reflection of kindness for the poorest, the excluded, for migrants, a reflection of kindness for creation. Make us attentive to those who do not find their place in their local Church. Through our life of communion you invite us to be a sign of your presence, especially with the young people you entrust to us. At a time when an attitude of "everyone for themselves" is increasing at every level, we would like to be attached to a deeper current that goes through humanity, a thirst for friendship and generosity. Through the Holy Spirit you are constantly at work in the world. In gratitude for your love that will never end, let our life sing your praise! 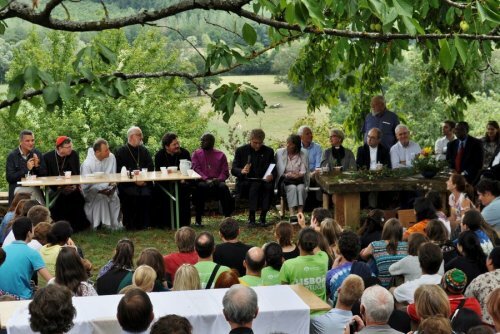 In Taizé and in our fraternities on the various continents, let us witness to the beauty of life! The week of prayer for Christian unity will be celebrated from January 18th to 25th. 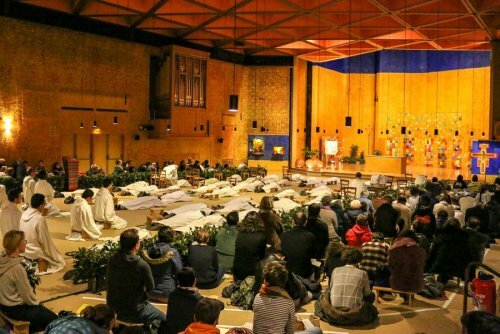 In Taizé, a prayer open to all will take place on Friday 18 January at 6 pm, in the presence of the Catholic, Orthodox, Protestant, Evangelical leaders of the region.